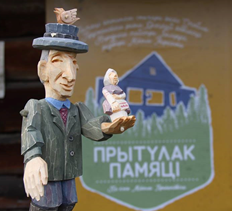 The project is aimed at popularizing and rescuing from oblivion the creative heritage of the National Master of Belarus, woodcarver Mikola Tarasiuk. 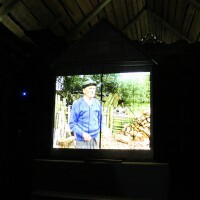 The master is known for his unique collection of wooden works that reflect an original way of life of Belarusian peasants in the second half of the 20th century. 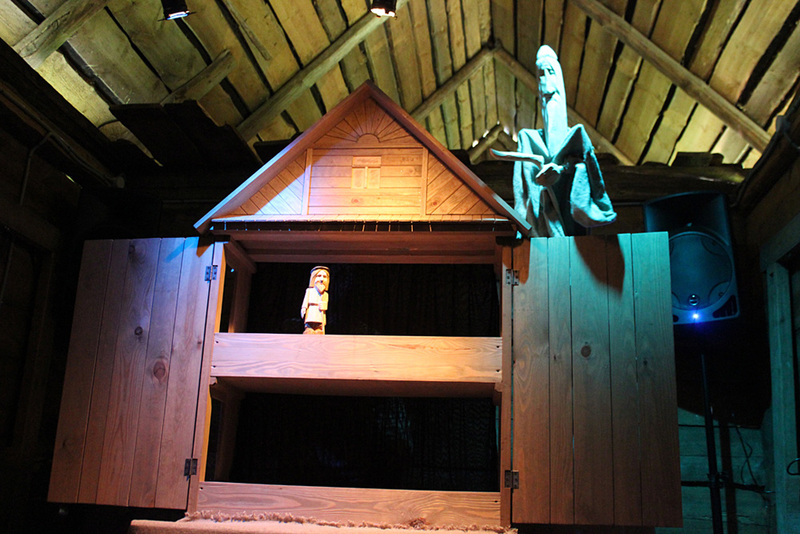 Tarasiuk created a museum in his manor and called it “Memoirs of the native land”. 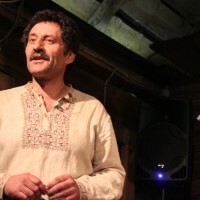 His creativity was the first to be included in the State list of elements of non-material historical-cultural heritage of Belarus in the Brest Region in 2008. 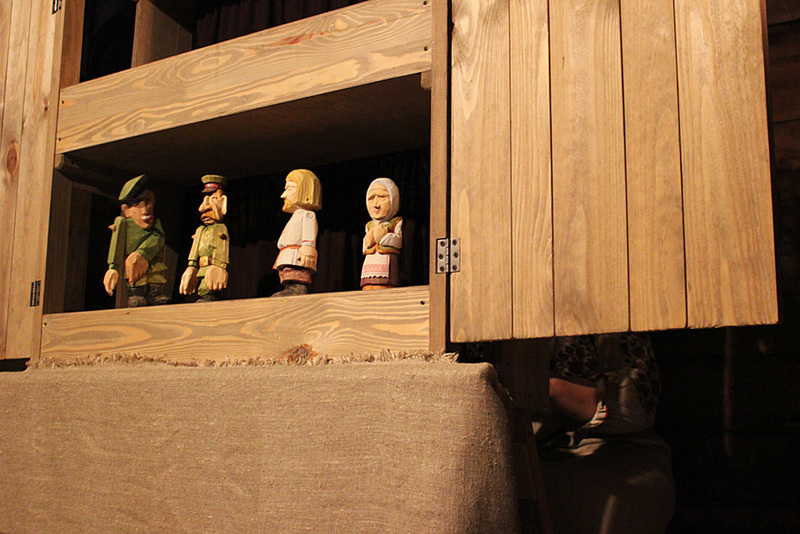 Tarasiuk’s wooden figures are worth being included in the world encyclopedia of naive art and exhibited in the best museums of the world. There are documentary films about him and a biographic book, but the museum itself is on the verge of disappearance. 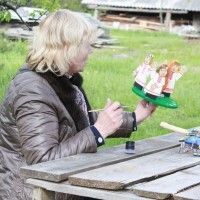 The overall objective of the project was to preserve and develop traditional regional culture by teaching the art of woodcarving and comprehension of the uniqueness of the historical-cultural heritage of the region, the creativity of the famous master of woodcarving Mikola Tarasiuk as an element of the local tradition and cultural heritage of Belarus. 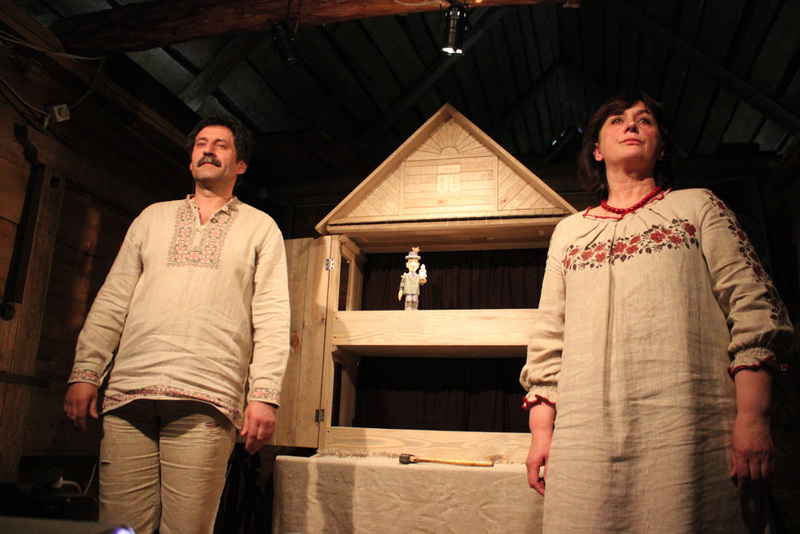 The main action of the project is the performance “Memory Shelter” in the genre of the Belarusian traditional theater Batleika. We wanted to draw attention of the public, mass media, researchers, ethnographers, local community, and experts on culture to the problem of preservation of Tarasiuk’s creative heritage and to develop a further concept of preserving and rescuing from oblivion the name of the Master. 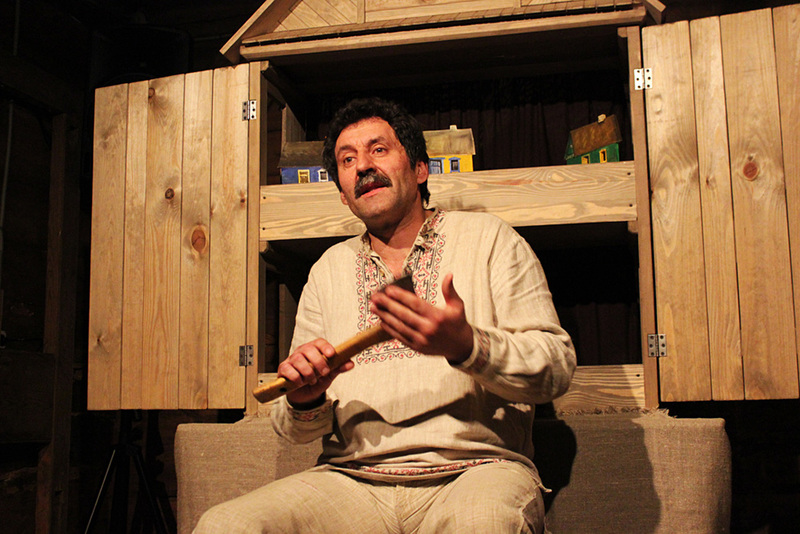 The creation of the play in the Batleika genre was quite difficult and creative, but it was a really interesting and unforgettable experience for all. Our public association unites well-known masters of arts and crafts, artists from the Brest Region. 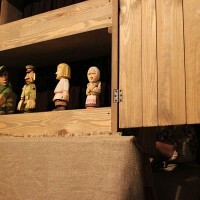 The preparation of the play united our organization and made it more significant and known. The premiere of the performance was on May, 13th, 2017 in Stuly. 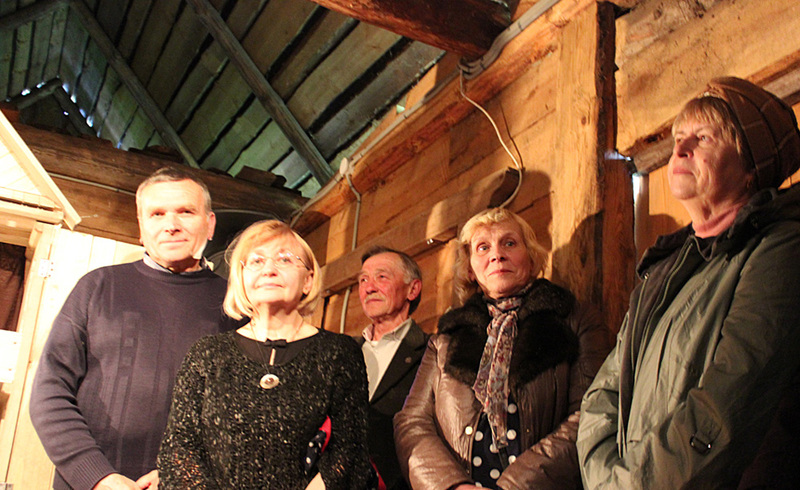 It was dedicated to the 85th anniversary of Mikola Tarasiuk. 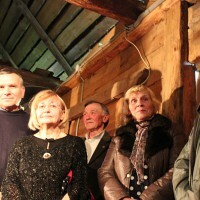 There were more than 60 spectators who came not only from the Brest Region and Minsk, but also from Russia and Poland. There were representatives of the regional mass media. 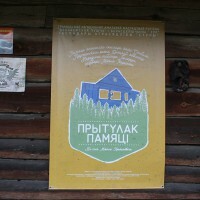 After the premiere, there was a round table to discuss the problem of preserving the national master’s heritage and popularizing his creativity. 25 people took part in this event – there were journalists, officials, civic activists, historians, and ethnographers. 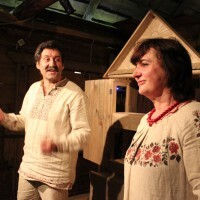 The audience came to a conclusion that it was necessary to create Mikola Tarasiuk’s foundation. The round table decided that the performance must be demonstrated in Belarus and abroad as it is extremely important for the popularization of the name of Mikola Tarasiuk and preservation of his memory and creativity. 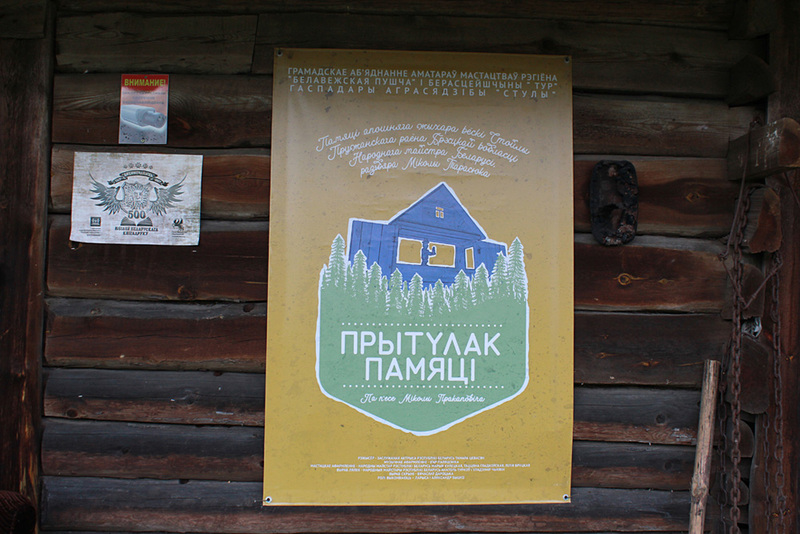 Nevertheless, over time, our efforts to preserve the creative heritage of N. Tarasyuk brought a positive result, and the conflict has been resolved. The master’s successors began to appreciate and treat their father’s and grandfather’s works in a new way: the memorial estate “Memoirs of the native land” started to work again. In the course of the project implementation, we built interaction with a secondary school in Shcherchava and secondary school №3 in Zhabinka. We invited the local community to participate in master classes and the schools received an opportunity to teach their pupils woodcarving with the help of eminent masters; the pupils became interested in the sources of national traditions, traditional way of life, native tongue, and culture of their small homeland. 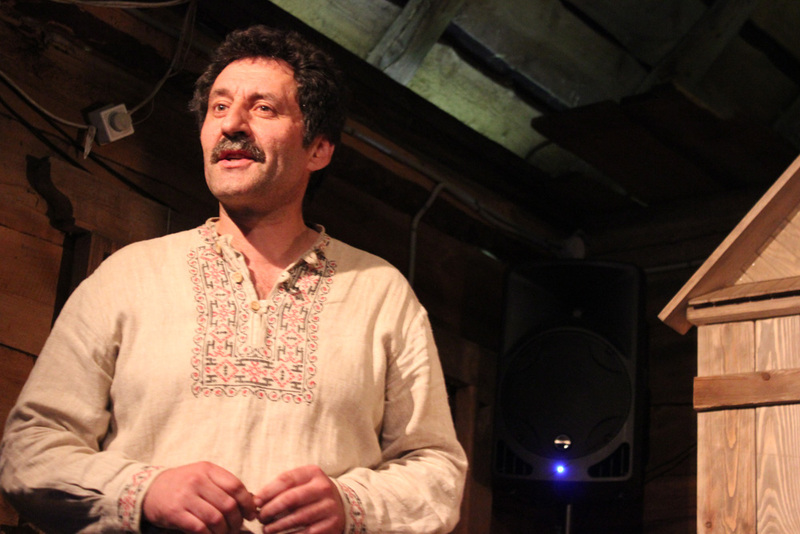 Throughout the whole period – from the text of the play and the course of rehearsals to the premiere – the project team received consultations and recommendations from the doctor of art criticism V. A. Labacheuskaya. 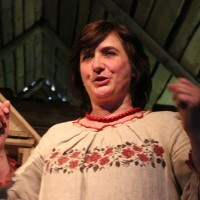 She is the author of the book about Mikola Tarasiuk and one of the main experts on his creativity and life history. 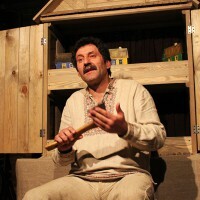 Her help allowed us to present more precisely some important details of the master’s character and behavior in the play. 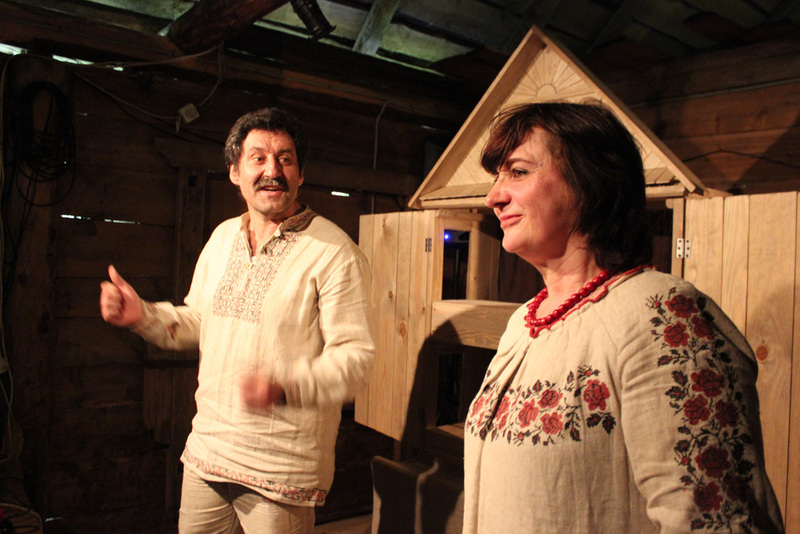 The professionals who worked on the play (the director and the sound producer) liked to work with the team of the project so much that they are ready to continue cooperation with us free-of-charge in other lines of the activity of our organization and our partner in Stuly. 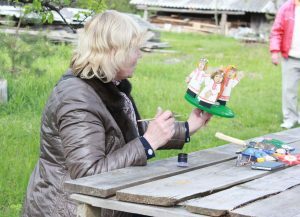 During one of seminars of the CHOICE project, there was a meeting with the well-known restorer of the Belarusian Batleika Anna Vyhonnaya who have been engaged in this art for more than 25 years. 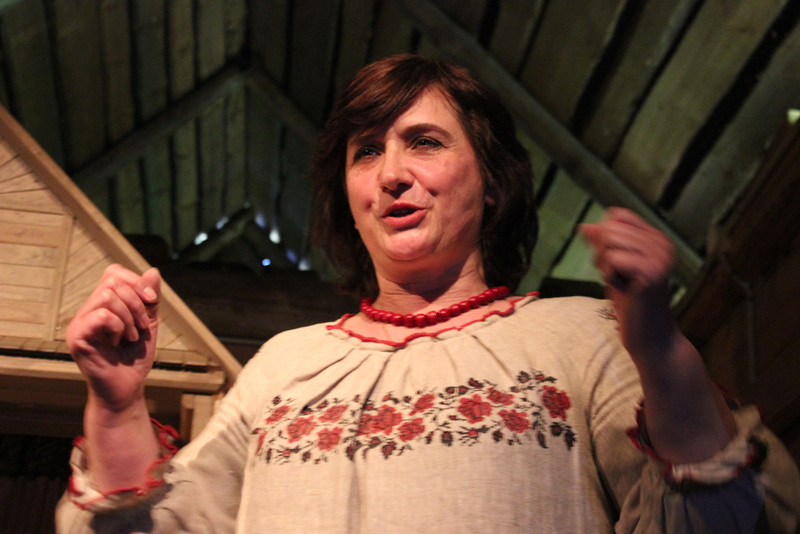 Anna became one of the main advisers during the creation of our Batleika performances. 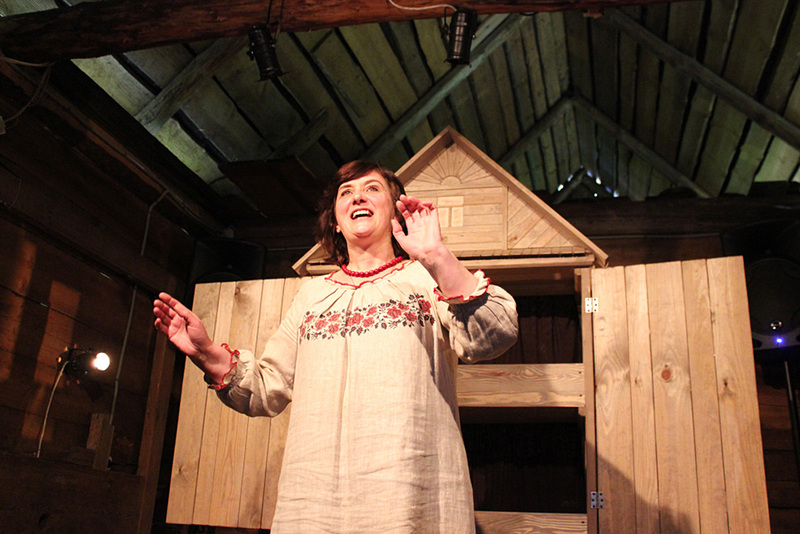 She advised our creative group – before to present a performance about Mikola Tarasiuk’s creativity and life, to create the classical Batleika play “Herod the Great”. Active members of our organization began to create this performance – it united us very much. It was the first joint product for the eight years of existence of our association, which was successful and really became an object of pride of each participant of this project. 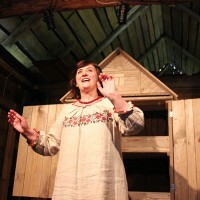 The project team is very grateful to Anna because when we were creating the performance “Memory Shelter”, we already knew subtleties and specificity of Batleika plays. 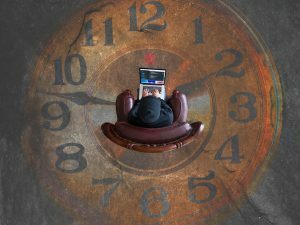 When we were creating the play Herod the Great, we actively worked on the creation of the main product – the performance about the master’s life and creativity. 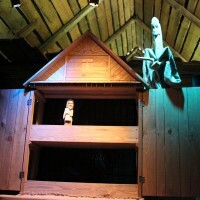 The playwright had done really titanic work, having studied all video and audio archives about Mikola Tarasiuk, which had been collected by the creative group. The work of the painter and the sound producer also deserves deep respect. 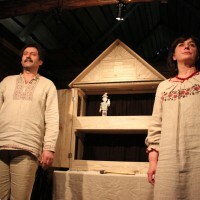 Thus, instead of one, we created two performances in the Batleika genre – the first one is pilot, the other one is the main product. 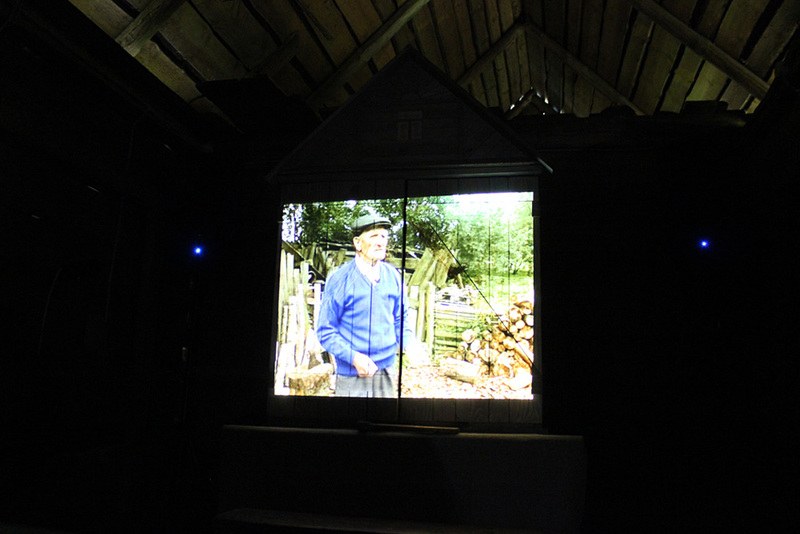 The work aimed at actualizing the master’s memory will not end – we will continue to fill with creative life his native places and the performance, as we believe, will tell about Tarasiuk far beyond his native village.